The Manchester Salon hosted a discussion in October 2011 entitled Fukushima fallout, which brought the impending energy crisis in the UK into stark relief. What also became very clear was that the terrain of discussing such an issue has transformed itself quite profoundly in the last decade or so. Many in the audience questioned the proposed use of nuclear technology as a solution to existing and indeed increasing demands for energy production in a way that didn't seem to connect with how the nuclear industry insiders discuss their solutions. The assumption that society's use of more power should be answered by simply producing more power is commonly questioned, and indeed many in education as well as politics, now teach (or preach) that society should learn to consume less through Reducing, Reusing or Recycling what we have rather than producing more. There seems to be a growing gulf between discussions around reducing waste within energy production and society in its consumption of energy. The talking at cross purposes isn't helpful and as misanthropic views of humanity and its profilgate and rapacious use of energy become more widespread, so the discussion within the industry about how to produce more will be impacted with profound consequences for the lights going out. In response to the popular view that human action has caused problems associated with an increase in Carbon Dioxide in the atmosphere resulting from the burning of fossil fuels, there are a variety of interesting and innovative technical solutions put forward. Some advocate the supplanting of fossil fuels by using hydrogen as a fuel source, produced solely by the electrolysis of water using renewable electricity. Planet Hydrogen's version of the Three Rs for example, is to reverse the perceived dangers by Restraint in all energy use, Retrieval of excess greenhouse gases from the atmosphere, and the Re-fuelling of human society, in favour of renewable electricity and hydrogen. The often proposed responses to the perceived threat posed by the accumulation in the atmosphere and ocean of greenhouse gases are a combination of biofuels, "fracked" gas and nuclear energy. Many though reject these solutions as being neither sufficient nor wise, and that a survey of the possibilities available to modern society demonstrates that only the "electrohydrogen economy" can furnish society with the energy it needs without incurring irreversible environmental costs. 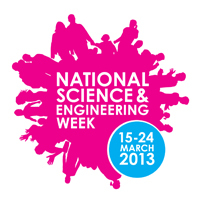 This discussion is being programmed to coincide with the National Science & Engineering Week, being coordinated by the British Science Association between 09 and 18 March 2012. The theme of the week (well, eleven days), is 'our world in motion'. How will society be able to produce sufficient energy to keep society moving forward? This discussion aims to answer that, or at least focus on some of the barriers wee need to overcome. This discussion was in the discussion area of the International Anthony Burgess Foundation and filmed by NLTV, with thanks to both organisations for helping to make the night a success. Watch again, video footage produced by NLTV - see source at Engineering a solution to the Energy Crisis. This ongoing subject is being revisited by the Manchester Salon with a focus on the issue of fracking - click on Fracking: a technological innovation too far? to see more details. For the first time, the Manchester Salon is participating in the National Science & Engineering Week, which this year explores "our world in motion." National Science & Engineering Week shines the spotlight each March on how science, technology, engineering and maths relate to our everyday lives and helps to inspire the next generation of scientists with fun and participative activities. With over 4,500 events and activities attended by 1.7 million people in 2011 and generating over £1m in press coverage, this is the UK's widest grassroots celebration of all things science and engineering. You can join the celebration by attending an event or taking part in our national activities. Irwin Mitchell is passionate about the law and in providing our clients with the very best legal advice and guidance. If after suffering an injury in Manchester, you wish to discuss things with a professional, then you can visit Irwin Mitchell Solicitors who will discuss things with you. Our personal injury solicitors will fight fearlessly for you and your family, handling your claim with the dedication and sensitivity that you deserve.